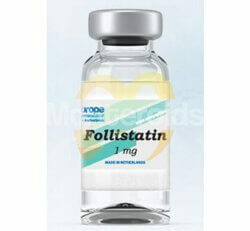 Follistatin 344 used by bodybuilders the performance enhancing athletes as a myostatin antagonist. 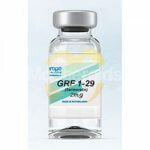 Follistatin 344, more commonly known as FS 344 for short, is an autocrine glycoprotein peptide. It is sometimes called an Activin-binding protein, or even FST. The molecular formula of Follistatin is C13H16O3 and it has a molecular weight of 36KDa. It is however used by bodybuilders the performance enhancing athletes as a myostatin antagonist. Additional research on Follistatin peptide reveals that it also works as an antagonist to myostatin. 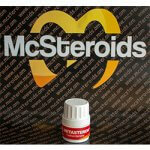 Myostatin is basically a protein that functions to control and regulate the size of muscle mass when it is released. 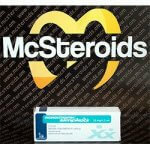 This basically means that myostatin tells the body to stop putting on muscle mass and inhibit muscle growth. 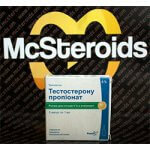 Follistatin works by blocking the release of myostatin, which will result in increased muscle mass gains. On a study done on mice, FS 344 proves effective to block the protein, and this results in the increase of mass in these rodents. With the discovery of how Follistatin 344 works on myostatin, there has been more and more research on animal test subjects to see if the peptide works to help with strength increase and muscle gains in bodybuilding. Since it has the ability to block myostatin, this means that it will increase the proliferation of muscle cells, which will result in the increment of muscle mass.  After mice, researchers tested Follistatin 344 on macaque monkeys, which led to strength increase as well as muscle growth. The results of this research led to performance enhancing bodybuilders getting interested in using Follistatin research peptide. The studies are mainly conducted for medical purposes, as it could help to treat muscle wastage related ailments like muscle dystrophy caused by diseases such as myotonic muscular dystrophy, Becker muscular dystrophy, Limb-girdle muscular dystrophy and Duchenne muscular dystrophy. 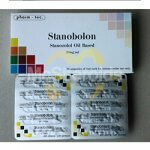 The use of Follistatin 344 helps to reverse the negative effects of these ailments. Performance enhancing bodybuilders are definitely eager to try it out on themselves, turning themselves into lab rats to see if the use of Follistatin 344 would help with increasing muscle mass and giving them strength gains. 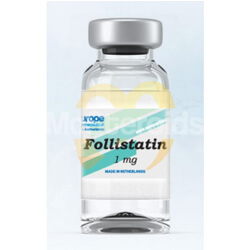 Currently, the negative side effects of using Follistatin is still unknown. However, based on the current scientific studies and researches on animal test subjects, there are currently no reported negative adverse effects that could be link with the use of Follistatin 344. The peptide is still being heavily researched for its use. There is no guarantees that it will not cause any side effects on humans. Follistatin 344 is purely for scientific research only. At this point of time, Follistatin peptide hormone had only been researched and tested on animals. Although it has been linked to increase muscle mass as well as improve strength gains on macaque monkeys, the results are truly unknown if used on humans. Every single data and results yielded from the researches done with Follistatin 344 are for animals, and so it its benefits and functions. Because of this, it is extremely important to know that the overall functionality, results, operational mechanics, potential benefits and potential negative adverse effects are truly unknown if used on human, and are based on studies that were performed in a strictly contained environment. If you are still eager to use such compounds, it should be done on your own risk.